Opening soon this center is housed in an historic building in downtown Wichita. It is just moments from the Intrust Bank Arena while a large number of restaurants, retailers and coffee shops are within walking distance of the office. 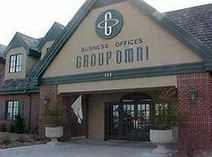 Executive space is located in this East downtown location in the centre of Wichita close to many shopping amenities. This location serves well for the busy professional, and the centre offers that are well designed and can be tailored in terms of size configurations, allowing the person to absorb only minimal costs based on their needs.